"A very scary indie point and click survival game, a sequel to the first game Five Nights at Freddy's." Scott Cawthon is at it again with this new release of the extremely popular indie point and click survival game, Five Nights at Freddy's. In Five Nights at Freddy's 2, you are security for the restaurant, but based in the past this time around. You must survive five nights in order to beat the game, but that is not as easy as it sounds. Of course, if you played the first game, you will definitely know this already. This time around, the game is just a little bit harder with a few more things you will need to control and watch over. Just like the first game, you watch over Freddy Fazbear's Pizzeria throughout the night to make sure the place is safe and secure. 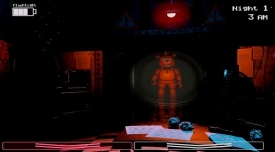 However, as the night rolls on, the animatronics that makes Freddy Fazbear's Pizzeria is fun place for kids during the day, makes the place a scary place to be during the night. This is because the animatronic automatically come to life and walk about the place. Though, that is not all in Five Nights at Freddy's 2, the animatronics will also tend to confuse humans as unskinned animatronics, and try to find you and force your body into an automated costume like the other animatronics. This tends to happen when there is only one human in the place in the middle of the night, and that human will be you. What you will really need to do, is not watch over the place, but watch over yourself. 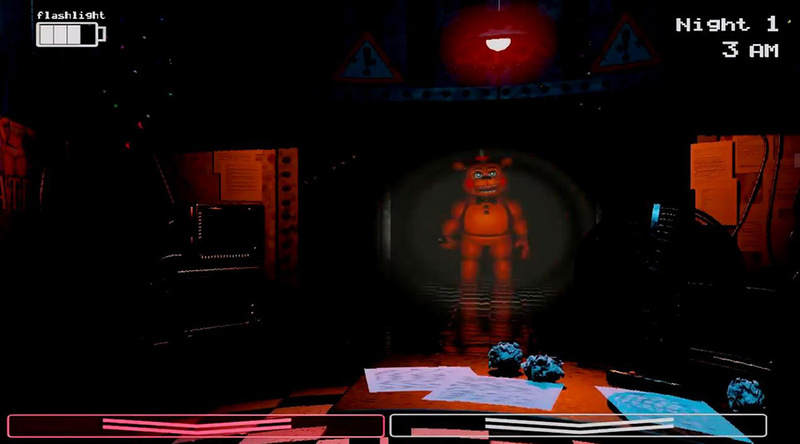 You will need to make sure you keep the animatronics out of your office and keep yourself safe throughout the night, for five nights. Each night gets progressively more difficult, and you will need to practice to get good at keeping yourself from getting caught by the animatronics.